If you're just getting started on purchasing outdoor clothing for hiking, backpacking, camping, snowshoeing, and other recreational activities, outdoor brands might all look alike to you. Hiking For Her to the rescue! This page will give you the details on the best outdoor brands which Hiking For Her has used over the decades, and the reasons why you should consider their gear and clothing. Let's get started on the trail to creating your own list of the best outdoor brands for hikers! If it doesn't keep you comfortable, safe and happy on your outdoor adventures, why buy it? We all hit the trail because we crave outdoor time. But each of us has a particular blend of what we look for in the best outdoor gear. Find yourself in the categories below. Then take a hard look at the listed outdoor brands. They all made it onto this page because Hiking For Her relies on them for day hikes, backpacking trips, and extensive back country adventures. Why recommend brands that don't deliver!? HFH would never do that to you. You might not know you need it until you see it! On the other hand, you might be hunting for a general category of gear, say a three season tent or a soft shell jacket. It's useful to see several options, side by side. It's great to have lots of color, weight, size and feature choices, too. These companies will spread a wealth of easy shopping options at your finger tips (on line) or feet (brick and mortar shopping experience). To get a taste of the discounts which can be yours, with an ever changing and tantalizing seasonal inventory, check them out frequently! Worker's rights and fair compensation. Avoiding environmental degradation and pollution. Responsibly sourced materials and labor. Getting more women into the outdoors. It's easy to buy a backpack and trail footwear these days. The Internet is crawling with companies claiming to be the best at everything under the sun. And then there are companies whose brand names stand for quality and durability over many many years. Plus a quality customer experience, beginning with your first look at their gear and ending with your satisfaction with your hiking gear and clothing purchases. The Clymb (not just for climbers) offers up an ever changing kaleidoscope of top brand names, so check their site frequently. Smaller companies like My Trail Company and ULA Equipment also are worth a look for their thoughtful designs and attention to detail. 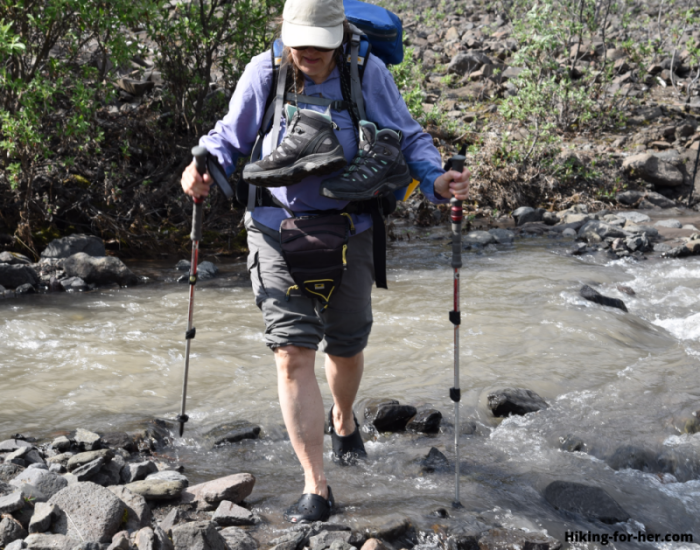 Some hikers need basic equipment at an affordable price point. Or maybe you're part of a group of friends or family wanting to get outdoors more - without breaking the bank. Note that as a member of REI Co-op, you will receive a yearly rebate of around 10% on your purchases. And they provide coupons to make it even sweeter to shop for new gear in late winter every year! Sometimes a woman's just gotta have outdoor gear and clothing designed by women, for women. REI Co-op has made a committment to be more attentive to the needs of plus size hikers. You can see a selection of their outdoor clothing in extended sizing here. SkirtSports has an extended size line of active clothing for hikers and runners called Move Without Limits. The beauty of this apparel is that it was designed and tested by women who wear 1X, 2X and 3X, so you can expect good things! As a hiker of petite stature (okay, I've been short every since 8th grade), I struggle with pants that are too long. And sleeves that slop around my fingertips. Read my review of the best hiking pants for petite hikers I've found, and then visit MyTrail to get your own low cost pair! At the end of your shopping quest, the best outdoor brands are the ones which take you out onto the trail and deliver a great experience no matter what the weather tosses your way. But if you like to hunt for outdoor brands that check multiple boxes, you can see which companies get it right in several categories above. And hopefully you've gotten to know a few new ones! Now check out these tips on hiking and camping equipment. Because day hikes lead to a strong craving for staying out there as long as possible! 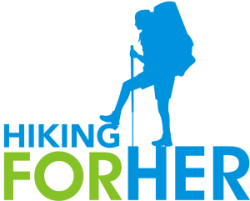 Hiking For Her is proud to be affiliated with these top outdoor brands. When you purchase from them through the links on this website, HFH receives a small percentage of your purchase price without costing you anything extra. Your support and vote of confidence in these hiking tips is greatly appreciated, because it allows more tips to flow freely for all hikers to enjoy.